So with that out of the way, let’s talk about Bonfire Night. Everyone knows the story of Guy Fawkes and the plot to bomb Parliament so I won’t discuss the events in detail. Nowadays the day is celebrated with fireworks and burning guys on a fire. But I don’t think that enough is being done to celebrate the event. Far more is done commercially in Halloween, a “holiday” which has no relevance to British history or culture. Bonfire Night, on the other hand, is a date which is vitally important to Britain, as it is the date which could have completely changed the history of the country. If Guy Fawkes had been successful in blowing up Parliament, history would have been re-written. It’s like Independence Day for the US or ANZAC Day for Australia and New Zealand, a day which is very relevant to a certain country. Yet while those days are national holidays, here Bonfire Night has very little fanfare except for fireworks, partly because the half term is structured around Halloween (though I don’t think it was planned) and not Bonfire Night. I compare Bonfire Night to other public holidays around the world because Britain doesn’t really have a “Britain Day”. Most countries have independence days from us or some other European countries, and so they celebrate their independence days. Since we’ve never had to declare independence, we don’t need to celebrate. Therefore, if we are going to have a half term which ends in a celebration, it should be Bonfire Night. So if we should have a Britain Day, I’d argue that the 5th of November would be a strong contender, and that the first week of November should be the half term and not this October half term. Bonfire Night is part of British history and a day which is significant to Britain. It should not be overshadowed by an American excuse to take sweets from strangers. If children want to eat sweets, they just need to buy a big bunch of Jelly Babies and eat them while watching Doctor Who. I know I will. Now I’m not here to argue that Bonfire Night is the most important date in British history. People will have different views on the most significant British historical day, but normally it is either 14th October (Battle of Hastings) or 15th June (signing of the Magna Carta), and both of those are strong Britain Day contenders. I’m just saying that I think Bonfire Night is a night which should be remembered in British history and should be relevant both from a commercial point of view and a cultural point of view. It certainly shouldn’t be thought of as an excuse to just have firework parties and burn a man stuffed with straw. So overall, in my eyes, today should be a perfectly normal day for us Brits and other places like us, so we can have a big celebration on the 5th of November. Halloween meanwhile can remain American and stay away from our autumn. 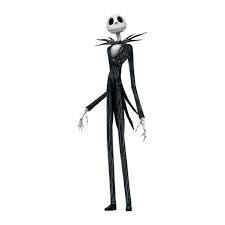 Though let’s be honest, Jack Skellington is far cooler than Father Christmas or the Easter Bunny. Good points, Ben. Colleagues and I have been bemoaning how Halloween and Guy Fawkes have somehow become intertwined, and wondering whether Guy Fawkes will be forgotten in a few years. When I was a child, there was very little dressing up for Halloween, and no trick or treat – I hadn’t even heard of it. We did have Halloween parties, where games included apple bobbing an eating buns dangled from string. But these were definitely separate from Guy Fawkes and there were no ghosts or witches. I loved this post – beautifully written and both funny and thoughtful. When I was your age (many, many years ago), Bonfire Night was a big thing, second only to Christmas. My friends and I would save our pocket money for months to go and buy fireworks and there would be loads of bonfires built on public land which would be lit around 19:00 and would still be going 3 days later (yes, they really were that big). Also, the event was celebrated only on November 5th, even if it fell in the middle of the week. 1) Health and Safety and the rise of the compensation culture. Yes, people got hurt and we all did some pretty stupid things, but if you did get injured you did not automatically think of suing everybody in sight. 2) Cost. The cost of decent fireworks these days is huge and was beyond the reach of average pocket money. 3) Familiarity. Nowadays, fireworks are let off on every conceivable occasion – birthdays, New Year, civic anniversaries. Seeing firework displays is no longer special. Don’t get me started on Halloween! Although the number of pointless visits has declined since I put up the barbed wire and planted the landmines. I think British Day is a good idea. What about the restoration of The Monarchy when Charles II was crowned?